Nobody likes the thought of having to deal with a broken tooth or having to put up with missing teeth. It is not uncommon for individuals that experience this to give up their dental care because they feel that it’s only a matter of time before they will have to resort to dentures. As Ft. Lauderdale dentists we have the solutions for these types of problems and one of them is dental implants. If you have lost one or more teeth don’t think that you are in a hopeless situation. Most often if the lost tooth is not easily visible many people will just put up with it. What people don’t realize is that their teeth, mouth and gums play a very important role in their overall health. Just one missing tooth is enough to put the teeth out of alignment, which in turn can create an array of problems on its own. Misaligned teeth can make it difficult to chew food properly which then can lead to digestive problems. One tooth missing can cause the rest of the teeth to spread out and start creating unsightly gaps. As your Ft. Lauderdale dentists we can easily correct the problem with dental implants. The good news is that it doesn’t matter whether it is one tooth you are missing or several, you can enjoy the benefits of several dental implants. In fact, many people who suffer from irreparable teeth damage opt to have a full set of dental implants in place of having dentures. While there are many benefits that dental implants can offer and they really are a great solution for teeth replacement, it is a procedure that must be done properly to get the desired results. Here at JJ Dental we have the expertise and equipment that is needed to perform dental implant services that are of the highest standards. We take the time to perform these services so our patients feel comfortable during the procedure and are impressed with the results. Only the best of materials are used and once the procedure is completed the dental implants look and feel totally natural. It doesn’t matter whether you have recently lost some teeth or it has been several years. 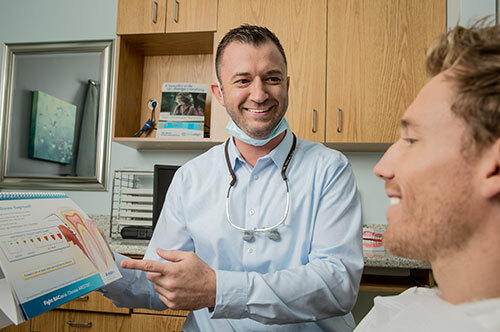 Come in and see us at JJ Dental and let’s discuss how dental implants can once again make you feel confident about your teeth, and give you back that great smile that you thought was long gone. So why not call us today to start smiling again with dental implants 954-463-7262.